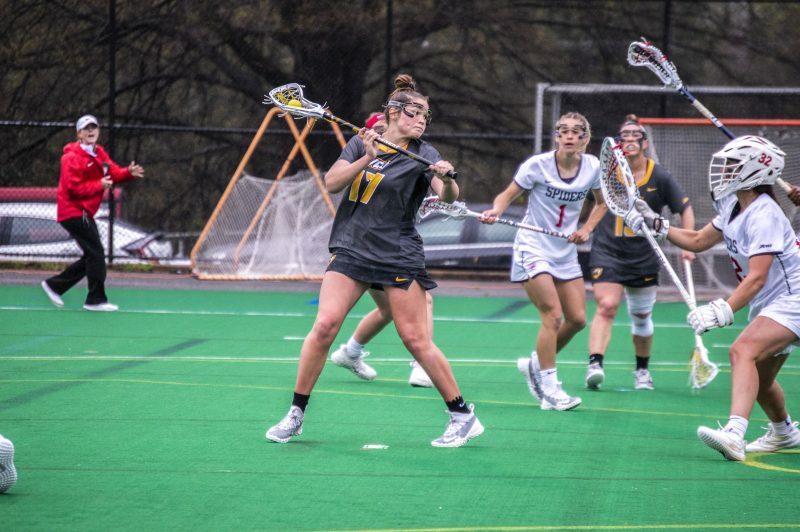 Lacrosse was defeated twice over the weekend in Atlantic 10 play, falling to Richmond and George Washington. 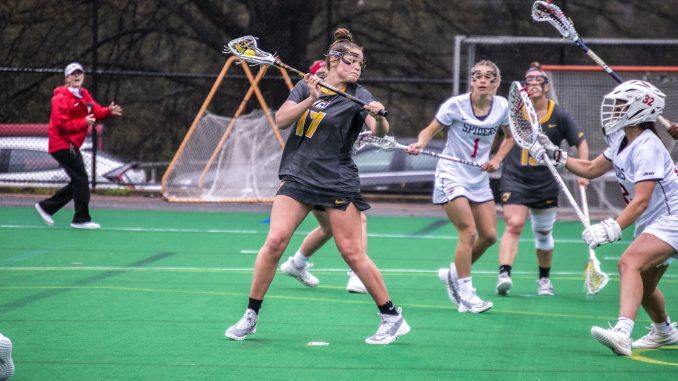 The Colonials knocked off the Black and Gold 18-8 in Foggy Bottom April 7, after falling six goals behind in the first half. George Washington scored six goals in the first 11 minutes, including three in the first five minutes. Junior attacker Jessica Del Rossi ended the scoreless streak for the Rams about 12 minutes into the contest. Junior midfielder Keriann McTavish logged the second goal of the afternoon for VCU, pulling the Rams within six goals of the Colonials. McTavish scored again, this time on a one-player advantage after George Washington received a yellow card. The Rams came out of the halftime break with their foot on the gas — senior attacker Molly Barcikowski scored just over a minute into the period. Barcikowski scored again midway through the half, pulling the Rams within five of the Colonials at 13-8. But, that was the closest the Rams were able to the lead. George Washington scored five unanswered goals in the final eight minutes of the contest. Barcikowski led the Rams with two goals, along with McTavish who also scored two. Senior goalie Ria Peralta recorded 12 saves in the loss to George Washington. The Rams fell to the Spiders at Cary Street Field April 5 14-8, despite Peralta’s career-high 22 saves. Richmond jumped out in front early, scoring three goals in the first six minutes to take the three-goal advantage. VCU cut the deficit to one goal after senior midfielder Clare Murphy and McTavish logged a goal apiece. This was the closest the Rams pulled within the Spiders the entire afternoon. The Rams received a yellow card early in the second half, giving the Spiders a one-player advantage for two minutes. Richmond took full advantage of the penalty, scoring two goals to extend the lead to five. McTavish found the back of the net again for the Rams with about nine minutes left, pulling within three goals of the Spiders. The Rams’ shooting went cold the rest of the way, as they failed to score in the final nine minutes. Richmond outshot the Rams 41-20, including 36-13 in shots on goal. McTavish led the Rams with four goals on eight shot attempts. Barcikowski and Murphy each logged one goal and one assist in the defeat. The Rams will be back in action at Cary Street Field April 12 against St. Bonaventure at 5 p.m.